The province of New Brunswick announced in September that it will invest $35.9 million over the next three years to establish a province-wide electronic health record system. Canada Health Infoway will contribute $18.2 million to the project, with the remaining $17.7 million coming from the province. • an Interoperable Electronic Health Record. The Interoperable Electronic Health Record is considered a foundation piece for the One Patient One Record (OPOR) system. It will provide the infrastructure and functionality required to link, capture, store and view relevant patient information. • a Client Registry. The Client Registry system is essentially the one-patient component of the OPOR system. 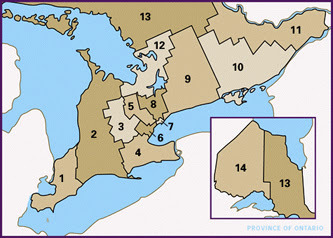 With this system, each patient will have a unique provincial identifier that will tie together patient information from various clinical systems. • a Provider Registry. The Provider Registry system will contain information on healthcare providers in the province. 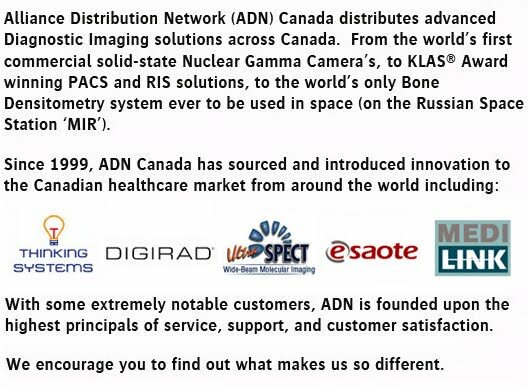 • and a Provincial Diagnostic Imaging Repository. The Provincial Diagnostic Imaging Repository will consolidate a patient’s diagnostic imaging reports and images for procedures such as X-rays, CT scans, ultrasounds and MRIs, into a provincial repository. The Department of Health has signed agreements with Initiate Systems Inc. for a Client Registry solution ($1.9 million over two years) and Orion Health for the Interoperable Electronic Health Record and Provider Registry systems ($4 million over three years). A third contract awarded to xwave for system integration and maintenance services is worth $5.6 million over three years. The contract to create a diagnostic imaging repository has been awarded to Agfa Inc., in the amount of $9 million over two years. Change management and training programs will also account for a large measure of the investment. And as Canada’s only officially bilingual province, New Brunswick is committed to developing solutions that work in both English and French. “These systems are key building blocks along the journey to a complete electronic health record that will ultimately link all patient information from across the healthcare system – from hospitals, from your family doctor, from your local pharmacy and elsewhere,” said Mike Murphy, New Brunswick’s health minister. In terms of architecture, the province doesn’t intend to pioneer new technologies or methodologies; instead, it wants to implement time-tested solutions that have a track record. It’s hewing closely to Infoway’s standards and solutions, and it has watched carefully as other jurisdictions – Alberta and British Columbia, in particular – have gotten their own province-wide programs off the ground. Many of New Brunswick’s hospitals are already sophisticated users of electronic health records. However, the OPOR system will provide a large measure of interoperability between the hospital systems, which are provided by many different vendors and often lack an ability to talk to one another. The electronic health record from Orion will act as a kind of umbrella solution, accepting information from all systems and providing a viewer to healthcare providers across the province. Carole Sharp, assistant director for projects, corporate services, at the New Brunswick government, said that a central repository will be established, housing patient data from disparate sources that will result in a comprehensive single record for each person in the province. Healthcare organizations will keep ownership of their data, but some of it will be sent to the repository. “That will allow doctors and nurses across the province to use a viewer to see an integrated record,” she said. Sharp noted that not all data will be sent to the central repository, only that which doctors, nurses and other healthcare professionals consider to be essential. For its part, xwave will provide system-integrator services, tying together the various solutions so that disparate systems mesh in the repository viewer. Gary Folker, managing director of clinical management systems at xwave, commented that the company is well-versed in interoperability issues and Infoway’s blueprint for the design and construction of healthcare systems. Gilman commented that in addition to the four core projects, New Brunswick has also embarked on a Prescription Drug Monitoring Program, which will collect pharmaceutical prescription information at the point of dispensing – that is, at the province’s pharmacies. The province has completed an RFP for the Prescription Drug Monitoring Program, and expects to select a vendor before the end of the year. Moreover, New Brunswick will be implementing a full-scale pharmaceutical monitoring program, which will deliver information to health service providers at the point of care. It will track the drug history of patients, provide physicians with drug interaction information and allergy warnings, in a bid to improve patient safety and the effectiveness of therapies. Gilman noted that New Brunswick is currently in the planning stages of the project, and that planning is being conducted in conjunction with the province of Nova Scotia. “They’re developing the same kind of system, so why not do the planning together?,” Gilman commented. He observed that it’s much easier to bring experts to the Maritimes for meetings once, rather than to request visits to different Atlantic provinces on separate occasions. While the One Patient One Record project is, for the most part, starting with large organizations such as hospitals, the long-range plan is to include all healthcare providers, such as doctors’ offices and clinics. “The ultimate goal is to connect all sources of patient information,” said Gilman. 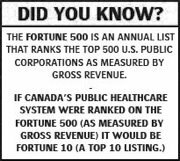 “That includes public health, mental health services, doctors’ offices and others.” That will require additional investments in new systems. Indeed, the province estimates it will need to invest some $250 million in eHealth over the next 10 years. If everyone agrees, then why can’t I see my record? In late May of this year, a large percentage of the health and medical informatics community in Canada met in Quebec City for the 2007 eHealth Conference. One regular feature of this annual conference is the Great Debate. This year the debate centered on the question “should patients have unfettered access to their health information?” I was very fortunate to be invited to be one of the debaters – on the pro side. Before the debate even took place, the audience, of about 800 attendees, were asked whether they agreed or disagreed with the debate question. It was estimated at the time that approximately 90-95 percent of the delegates responded in favour – yes, patients should have access to their health information! And this was before the debate even started. If so many people agree, then why can’t I see my record today? What is the hold-up? What is stopping us from moving ahead in a direction where there is overwhelming support – and this support is coming from healthcare professionals? These are great questions that have been asked before, and we know that the answers are not that straight-forward. One major reason is seemingly banal, but overpowering: our delivery system has not accepted the idea of patient access to their own medical records. I know, how can this be? Is this not in direct contradiction to what was stated in the preceding paragraphs? Well, yes and no. In the abstract, yes it makes perfect sense that patients should have full access to all of their health information. In an era where consumers are becoming more involved in most every other aspects of their lives, it is reasonable to assume that the same consumers would want the same powers and freedom while managing their healthcare. However, dealing with one patient at a time, considering the very nature of the contents of a PHR (patient or personal health record), addressing issues surrounding relevancy and privacy, the acceptance of full patient access is not as readily forthcoming. More specifically, the resistance is not, for the most part, technology-based but rather driven by a health system infrastructure and culture that cannot change… at least the way it is structured today. In other words, the system will not change until a number of issues are addressed. Below, I outline three. First, the healthcare culture, certainly when it comes to dealing with patients, has been operating for generations with a paternalistic view. The consensus is that most patients cannot be trusted to manage their own care. To some degree, this perspective is warranted. Further, some patients appear to even go out of their way to provide evidence in order to support this thinking. Smoking is one obvious case where there is widespread poor health management by patients. However, it must be emphasized that this is not the case for all patients. There are many patients with chronic illness who truly want to be more actively involved and empowered. I know that, as a patient, I want to know all the facts no matter how tough they may be to deal with; sometimes understanding the situation does indeed make it easier to accept. 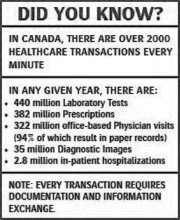 Second, the reimbursement structure within the Canadian healthcare system does not motivate doctors (certainly not general practitioners) to provide medical records access to their patients. While doctors most assuredly want their patients to be informed, so as to improve their health outcomes, in the end, there really is no reason to spend much time or effort, not to mention funds, to provide this access. In fact, one could argue, that the system today actually promotes and reinforces an environment of face-to-face, one-to-one, healthcare information delivery (as opposed to electronic communication) by creating a simple payment formula – fee for service (i.e., see a patient, submit a claim). If patients get access to information through electronic means, there will be fewer patient visits – no ifs, ands or buts! That is one of the major benefits of IT – fewer visits, lower costs overall. While it is true that the benefits of eHealth go well beyond the financial (i.e., patient safety, increased efficiencies), this is still an important consideration that needs to be addressed. In the end, what would motivate a clinician to earn less money? Third, it is not yet an accepted fact that patients having access to their own health information improves their health outcomes. The research is still going on “in the labs”, but each month there is more and more evidence demonstrating that the empowered patient is healthier. 1. The overall system appreciates the role of the patient as an individual and as a key stakeholder who must become active in healthcare system management. 2. The financial framework begins to motivate clinicians to support patients’ migration to feasible access of their own health information. 3. More research is funded to prove the hypothesis that informed patients are healthier. Kevin Leonard, MBA, PhD, CMA, is an Associate Professor, Faculty of Medicine, University of Toronto.